The long-running sitcom, Friends, released ten Thanksgiving episodes. In honor of turkey month, here are some of the best Thanksgiving scenes from the show to get you in the holiday mood! In this episode, the audience finally meets Rachel’s other sister. One of the best moments of this episode is when she reveals that she plans to raise baby Emma- who she calls Emily- when Rachel and Ross die. The episode highlights the awkwardness of family reunions during the holidays. This episode occurs after Joey learns that his girlfriend cheated on him with Chandler. 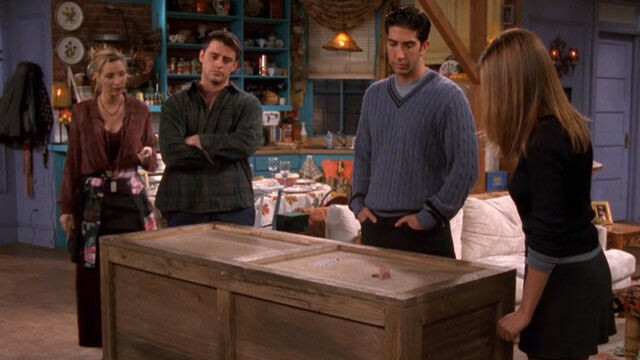 In order to gain his friendship back, Chandler spends six hours in a box, silent, to prove his worthiness to Joey. The Thanksgiving festivities end with the two rekindling their friendship. Joey basically spends the entire episode devouring a turkey on his own. After he finishes, he claims to be “stuffed,” but when he heard there was desert he suddenly had room for more. Talk about a major food coma. When competing over which friend has had the worst Thanksgiving, Phoebe takes it to another level by describing a Thanksgiving from her “past life.” Of course, this experience did not happen in her current life. Her flashback includes gruesome details to the point that she even has her arm blown off. Back when Chandler and Ross were in college, Ross brought his friend home for Thanksgiving one year. Chandler ended up calling Monica fat, which prompted the latter to lose a ton of weight. The next year, in her efforts to seduce Chandler as a way to get revenge on him, she ended up dropping a knife on his toe and cutting it off. One of the more heartwarming moments in an episode that was rather filled with frustration. Monica and Chandler receive a call from Ohio that a girl has chosen them to adopt her baby. In this episode, Brad Pitt guest stars as Will, the former fat kid in high school. Will expresses his disdain for Rachel, revealing at Thanksgiving dinner that both he and Ross were the founders of the “I Hate Rachel Green Club.” They also admitted to spreading the rumor in high school that she’s a hermaphrodite. One of the best moments of this episode is when Monica reveals that she swam to retrieve the Geller Cup. 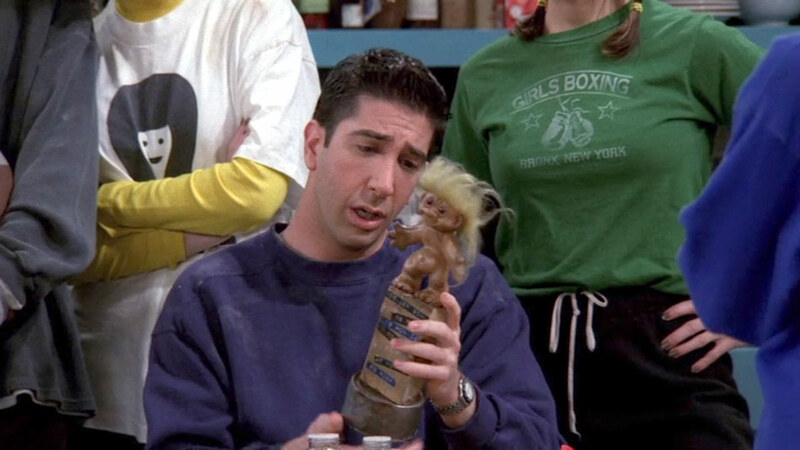 The Geller Cup is a troll trophy their family gave to the winning team of the Thanksgiving football game when the two were kids. After Ross broke his nose during a football game, the Geller Cup was thrown into the lake, but Monica reveals she swam to save it. The episode includes all that Thanksgiving has to offer: football, turkey, and family rivalry! This episode reveals that the Geller’s hate Chandler because, when Ross was in college, his parents caught him high, but he told them that Chandler had in fact been smoking and jumped out of the window to avoid being caught. Monica reveals her brother’s lies to her parents, which ends up with the two revealing each other’s secrets to their parents from Ross’s divorce to Monica living with Chandler. The spiel is one of the funniest moments in the episode and it ends with the Geller’s seeing Chandler as an angel for having to deal with their kids. 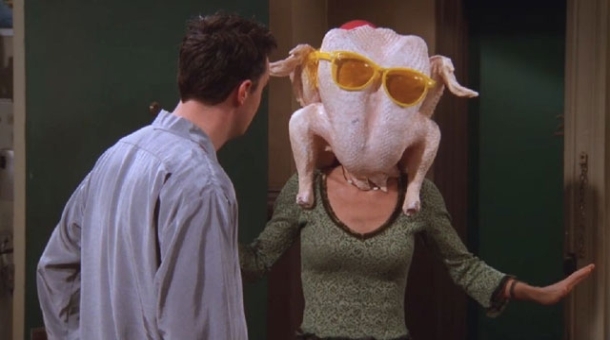 This episode has some of the best scenes including Monica wearing a turkey on her head in her attempt to apologize to Chandler. The scene ends with Chandler telling Monica for the first time that he loves her.